Can your Roof Provide a Story to tell Your Grandchildren? Wouldn’t you love to one day tell your eager grandchildren how your roof has withstood the constant assault of the tough climate of California for many years? Imagine the curious faces looking at you in awe some years from now. Well, this is only possible if you work with a professional roofing company that can deliver quality services to substantiate your story. • Poor installation due to unsatisfactory workmanship. • Lack of proper maintenance. • Shrinkage due to use of low quality roofing material. The result may be leakages or complete destruction of the roof. This puts your family at risk of exposure to bad weather and your property at risk of damage. Working with a professional roofing contractor provides a number of services that can help you avoid such problems. Age and extensive damage to your roof are some of the reasons you require re roofing services for your commercial or residential property. Because the roof is supposed to provide cover for you for many years to come, quality of roofing materials is paramount. This is why you need to work with a roofing company that understands the best options available on the market and goes ahead to incorporate them into your project using proven processes. At times, all you need is a simple roof repair job. However simple the task may be, the presence of a professional roofing contractor is vital. This is because unskilled hands might end up extending the damage to intact areas of the roof. Each roof is unique in its own way concerning the materials used, the workmanship, the design, the slope, and more. Only an experienced roofer can understand exactly what you need. You may require this service when there has been extensive damage to your roof that a simple repair job cannot handle. The replacement may be partial or full. 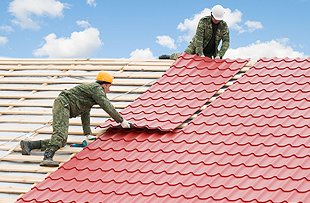 Partial means the roofing contractor replaces only a part of the roof while full replacement requires the contractor to remove the whole roof and install a new one. Replacement also involves repair of underlying support components to hold the weight of the new roof better. This tells you one thing – only a professional roofing company can handle such a complicated task. Take a few minutes and imagine how your home or office will look without a roof. Go further and picture the same situation during the rainy season. The picture that comes to your mind is what makes emergency roof repair services credible. These services are available 24 hours a day 7 days a week to make sure you always have a roof over your head. The presence of a professional roofing company in Palo Alto, Menlo Park, and Sunnyvale in California means you can still awe your grandchildren with your roofing stories when that time comes.